If you are experiencing hair loss, hair thinning, or brittle hair, one way to improve the condition of your hair is to avoid harmful shampoo chemicals like SLS and parabens and replace them with 100% natural and organic shampoo. In many online health product reviews, which can be found on sites such as the Good Trade, a number of natural and organic shampoo brands available on the market are listed and reviewed. However, many of the so-called “organic” shampoos you find in health food stores may be free of SLS, parabens, and other harmful chemicals, but they might still use synthetic thickeners, preservatives, and antifreeze agents to ease transportation and give them a longer shelf life. If you want a truly 100% natural and organic shampoo, you can simply make it by yourself. Here are 9 DIY all-natural shampoo ideas and recipes that are surprisingly easy to make, with most ingredients found at home. 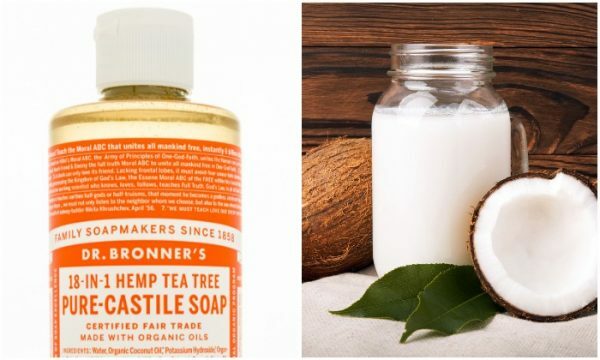 Please note that these natural shampoos may not foam as much and are not as thick as commercial shampoos, but they clean your hair all the same. In the past, people often just used a bar of natural soap to wash both their skin and hair. 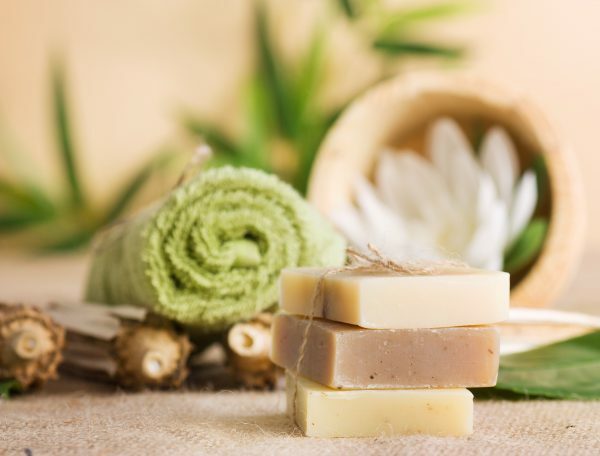 There are actually many all-natural shampoo bars available on the market made with specific hair-care oils, such as castor oil, coconut oil or jojoba oil. The best option would be to ask for a shampoo bar specific to your hair type and give it a go. Bonus: Bar shampoos are very convenient when traveling since you won’t need to carry liquid shampoo bottles. Apple cider vinegar rinse works both as a shampoo and as a conditioner. Vinegar is a tonic that restores the natural pH balance of your hair and scalp and closes the cuticles, making your hair supple and shiny. It prevents an itchy scalp and helps blood circulation. It’s also great for tangled hair, as the hair slides through brush bristles more easily when the cuticles are closed. Dilute ½ to 1 tablespoon of apple cider vinegar with one cup of water. Double the measures according to the amount needed to cover your length of hair. Next time you eat an apple, recycle your apple rings and cores and place them inside a jar filled with water. Then keep your jar with no lid on in a dark cupboard. Your homemade vinegar will be ready in a few weeks. Have you heard of the miracles of using both baking soda and apple cider vinegar to clean your hair? I have been using this method for a while now. Baking soda is also known as sodium bicarbonate or sodium hydrogen carbonate. Mix 1 or 2 teaspoons of baking soda with water in a plastic bowl then pour it over your hair. It is recommended to rinse your hair with water afterwards. Then add 1/2 or 1 tablespoons of apple cider vinegar to a cup of water for another hair rinse. Double the amounts as needed. You can also make a paste by adding a little water and a tablespoon of baking soda and rubbing it into your scalp. It will help blood circulation and also clean the pores of your scalp. About 30 years ago, a friend of mine told me she never used commercial shampoos. She simply washed her hair with a beaten egg. I finally decided to use this method last year and the effects are actually surprisingly good! 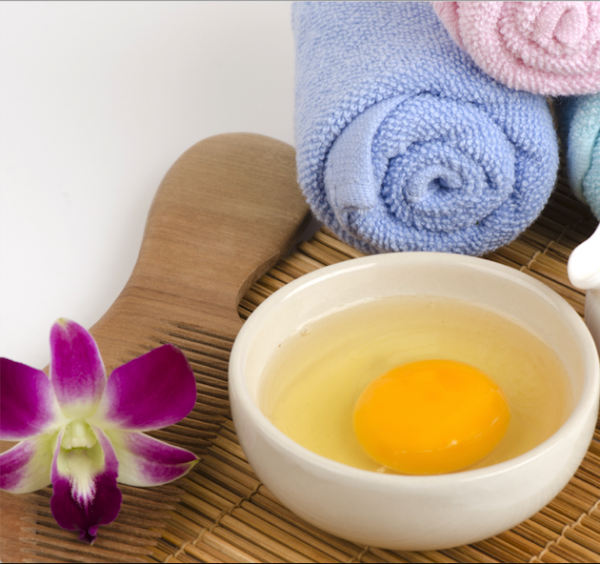 All the egg’s proteins feed your hair and make it smooth and shiny. Whip a whole raw egg. Wet your hair and apply the egg to your scalp the full length of your hair. Leave it on for 1 to 5 minutes, for example while taking a shower. It actually absorbs really well into your hair. Then rinse your hair off with water and apply an apple cider vinegar rinse (add 1/2 or 1 tablespoons of apple cider vinegar to a cup of water). This should take the smell of egg away. If you have blond hair, you could rinse it off with a tepid infusion of camomile tea. Beer is apparently a great tonic and just like apple cider vinegar, adds shine and volume to your hair. The proteins found in the beer’s malt and hops help rebuild damaged hair. This recipe is also recommended for curly hair. Use the beer as final rinse after your natural shampoo method. Only use flat beer at room temperature (beer that has been opened for a day or so). 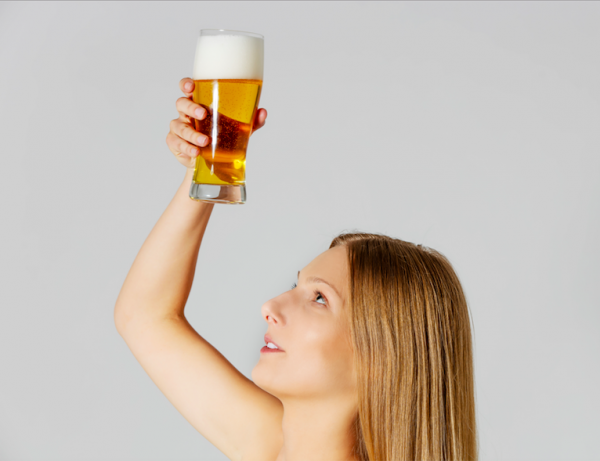 Work the beer into your hair for a few minutes, then rinse again with lukewarm water, and never use hot water. 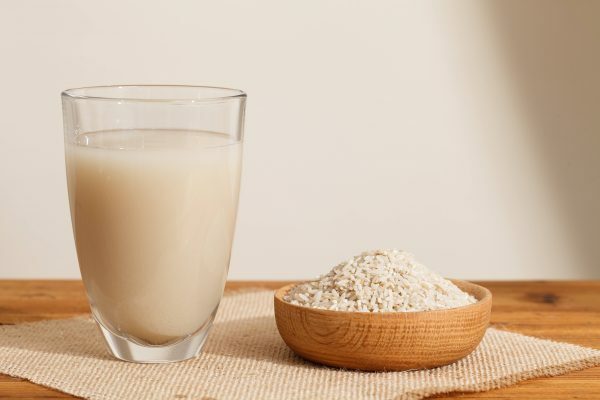 You may never have heard of rice water shampoo before, but it is actually a very ancient hair treatment. If you or your family cook rice regularly, simply rinse it off with water when boiled and keep the rinse water. 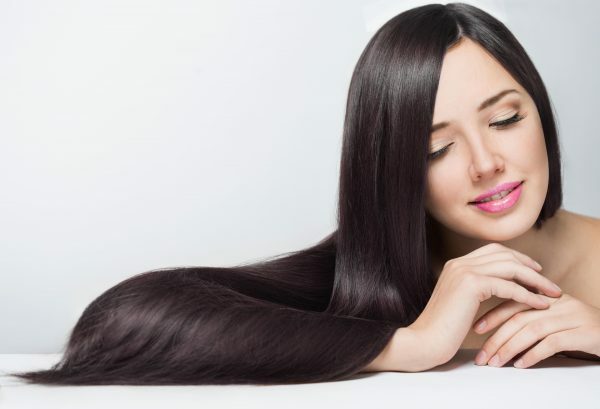 Store it in a bottle and dilute it with some water, otherwise your hair can get very starchy. Washing your hair with a bar of shampoo soap or just liquid castile soap (natural soap made from olive oil) can leave your hair a bit dry and rough. That’s why many DIY shampoo makers on the net recommend mixing liquid castile soap with coconut milk. Coconut milk is a natural surfactant (helps mix oil with water) and will add some lather to your DIY shampoo. It also conditions your hair nicely. Add 3 tablespoons of liquid castile soap to ½ cup of coconut milk. It’s best to read the label and buy a brand with no added sugar or preservatives. Because the liquid castile soap and coconut milk mixture will only last for a week, it is recommended to prepare a batch and freeze it in small portions. For example, you could pour the liquid into ice cubes or mini muffin trays, and leave them in the freezer for a few hours until solid. You can then put all the frozen portions into a container or plastic bag until needed. 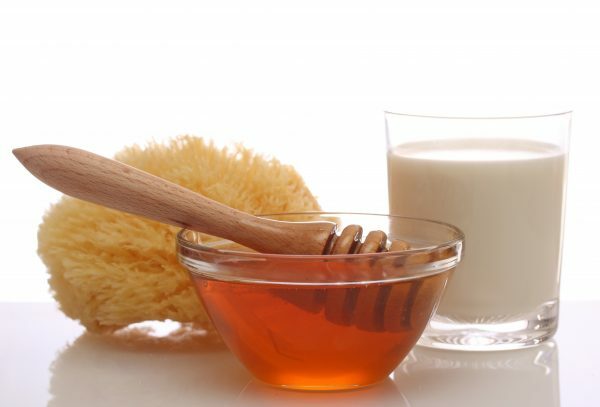 Milk and honey are known for their natural cleansing and antimicrobial properties. Apparently the two combined do a good job at cleaning, conditioning, and moisturizing your hair. Blend 2 tablespoons of honey with ¼ cup of milk. If you don’t have time to wash your hair because you are in a rush to a meeting or have no access to hot water, don’t worry. Just use dry shampoo. 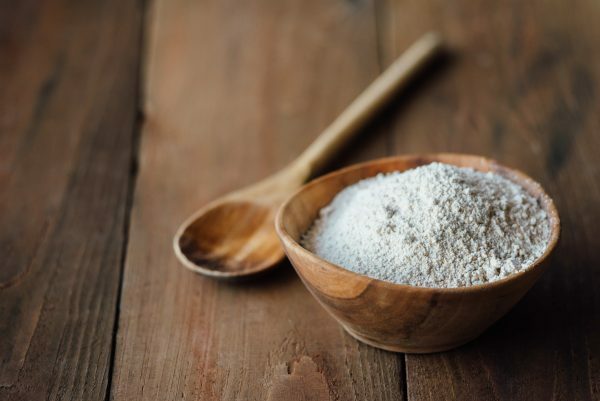 All you need is an absorbent ingredient such as oatmeal (ground oat flour), arrowroot powder or cornstarch as your base. It will absorb the oil on your scalp when left on for a few minutes. Then you just brush the extra powder off. 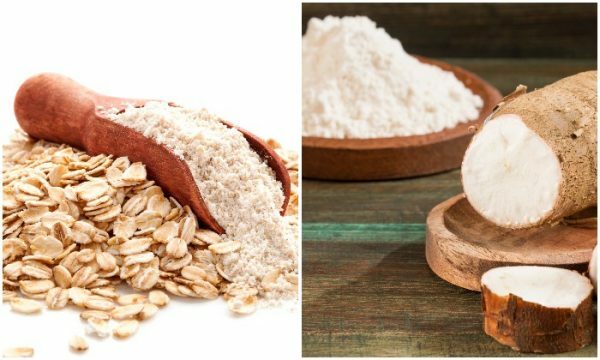 Mix your oatmeal, arrowroot powder or organic cornstarch (Non GMO) in a salt shaker or a recycled parmesan cheese container. Sprinkle only on your scalp by dividing your hair in sections with a comb. Massage your scalp and let it sit for a few minute so it can absorb the oils. Then brush your hair until no powder is visible. That’s it. If you are brunette, you can add sugar-free cocoa powder to your cornstarch base so it blends with your color. Or add cinnamon if you have brown hair. You will smell amazing! Simply blend oatmeal flour, cornstarch or arrowroot powder to your favorite DIY shampoo recipe, and voila! Whatever shampoo method you go for, it is recommended to follow it up with an apple cider vinegar rinse (or any other vinegar if you have no access to apple cider vinegar). When your DIY shampooing is done, apply your vinegar rinse. Massage your hair and scalp with it, especially the ends. Let it sit for a couple of minutes. You will need to experiment a bit with how much vinegar to water you should mix according to your hair type and your area water condition. But as a general rule, dilute ½ to 1 tablespoon of apple cider vinegar to one cup of water. When your hair is still wet it will smell a bit like vinegar, but once your hair is dry, the smell will be gone. You can add scent to your shampoo or conditioner by adding essential oils or dipping fresh herbs in your vinegar bottle. All hair types: 6-8 drops of rosemary, lemon or tea tree oil. Oily hair: 6 to 8 drops of bergamot, lavender, sandalwood, or ylang ylang. Dry scalp and dandruff: 6-8 drops of peppermint, eucalyptus or sage. When you stop using commercial shampoos, you are likely to have a transition time where you hair is more oily than usual. It could take a period of 2 to 3 weeks until your hair goes back to its natural oils and pH balance. After that, you will enjoy healthy hair without spending much money on haircare products and your patience will be all paid off! 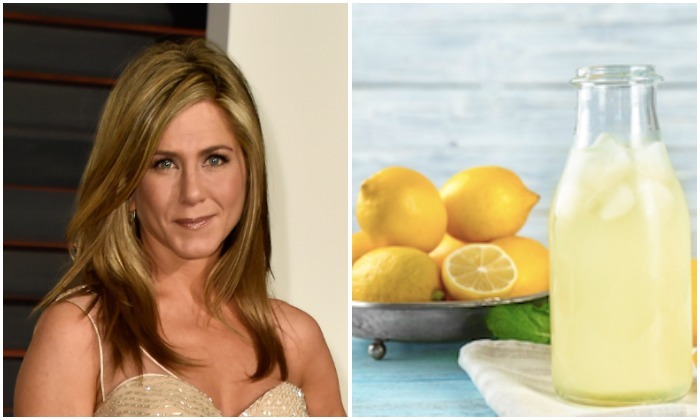 Here are 5 simple DIY organic shampoo recipes that can give you beautiful hair. Dandruff can be combated with anti-dandruff shampoo, but a New York-based dermatologist has revealed where most people go wrong.